An unknown friend Mr. Pritam Bhagat from Pathankot told me over mobile that mother of Buddha was a Koli (Kori). It interested me. Internet helped me in going to an article regarding Koli community. The article began with a very familiar sentence ‘हम कौन हैं? मेरे पुरखे कौन थे? वे कहाँ से आए थे? वे कैसे रहते थे?’ (‘Who am I? Who were my forefathers? Where did they come from? How did they live?). I am giving below excerpts of the article. Full article is very fair account of history of Koris. It is interesting to note that Koris trace their history to the past where all present day downtrodden reach. This again bursts the myth that there was an amicable agreement between Asuras (aboriginals of Harappan Civilization and Indus Valley Civilization) and Suras who came from Central Asia via Iran. There are mythical stories indicating that Asuras were made slaves by Aryans. These slave races are still struggling for annihilation of caste system. They live in abject poverty. Their latest names are ‘Scheduled Castes’, ‘Scheduled Tribes, and ‘Other Backward Castes’. They are yet to learn what ‘Human Rights’ are. The fact is that aboriginals of India were enslaved and they have been subjected to inhuman treatment through centuries. Most of them still live in villages and they are coerced to live in wretched and inhuman conditions. The facts are now known to the outer world despite efforts by some to prove it contrary to the facts. 'Kolis, Koris and Kols are aboriginals (Mulnivasi, मूलनिवासी) of India like all other SCs, STs and OBCs. Their past is same. They had been given different name and profession through religious sanctions (i.e. Manusmriti) and termed as different community so that they remain away from other sister communities. Despite this nation being democratic republic, these people are so illiterate and under so much pressure that they cannot think of their social and political unity. Broadly, Kolis and Koris are traditional weavers (like Meghwal, Bunkar, Megh, Bhagat, Julaha, etc.) (Kols, originally an African tribe, may have been forced to similar or other such activities. The word Koli seems to be derived from Kol itself.) and that precisely gives the entire picture of their present economic condition. All these people suffer from malnutrition and hunger. They work for paltry wages and also work as forced labor. Anyhow, keep on reading the excerpts of the article and know about trustworthy and lovable Koli/Kori (कोली/कोरी) people. “A time comes when each one of us asks, ‘Who am I? Who were my forefathers? Where did they come from? How did they live? What were their triumphs and tribulations?’ These and a number of others are some of the fundamental questions that we must find answers to, to get to learn about our roots. In studying the aboriginal tribes of India, scholars have consulted our most ancient records and documents - the Vedas, the Puranas, the epics in different languages, many archaeological records and notes, and various other publications. Students of history and anthropology have found numerous instances recorded in all prehistoric and established history of India, of a glowing past of this ancient tribe of India and more is being uncovered as research continues. This article is based mainly on three publications written in Gujarati. 'An ancient Tribe of Bharat - The History of Koli Tribe' a book edited by Shree Bachoobhai Pitamber Kambed and published by Shree Talpoda Koli Community of Bhavnagar (First Edition 1961 and Second Edition 1981), an article by Shree Ramjibhai Santola published in Bombay Samachar in 1979 and a lengthy paper prepared by Dr. Arjun Patel in 1989 for presentation at the International Koli Samaj Conference in 1989. The most ancient King Mandhata, a supreme and universal ruler whose reputation spread far and wide throughout India and whose stories of valor and yajna were described in the stone carvings of Mohanjo Daro, belonged to this tribe. 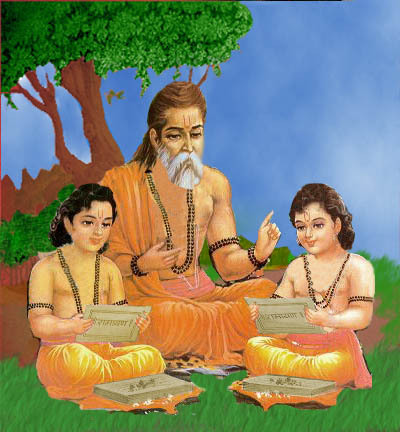 The most ancient and revered sage Valmiki, the author of Ramayana belonged to this tribe. 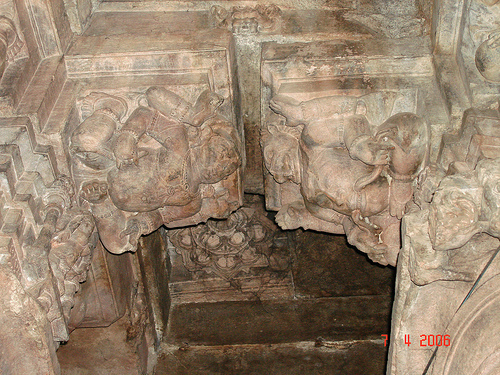 Even today Ramayana is referred to as Koli Valmiki Ramayan in Maharashtra State. Teachings from Ramayan form the basis of Indian culture. The great king Chandra Gupta Mourya, and his line of descendant kings belonged to the Koli tribe. Lord Budhha's mother and his wife belonged to the Koli tribe. Sant Kabir, a weaver by trade, ended several of his ‘bhajans’ as ‘kahet kabir kori’ was a self-confessed Koli. Bhaktaraj Bhadurdas and Bhaktaraj Valram from Saurastra, Girnari Sant Velnathji from Junagadh, Bhaktaraj Jobanpagi, Sant Sri Koya Bhagat, Sant Dhudhalinath, Madan Bhagat, Sany Kanji Swami of 17th and 18th Century all belonged to the Koli tribe. Their life and reputation were described in books of their life and in articles published in Mumbai Samachar, Nutan Gujarat, Parmarth etc. In the State of Maharashtra, Sivaji's Commander-in-Chief and several of his Generals belonged to this tribe. ‘A History of the Marathas’ note with pride the bravery of Sivaji’s army consisting mainly of Mavalis and Kolis. His General, Tanaji Rao Malusare, who was always referred to by Sivaji as ‘My Lion’ was a koli. When Tanaji fell fighting for and winning the ‘Kodana Fort’, Sivaji renamed the fort as ‘Sinhghadhh’ in his memory. In the 1857 uprising a number of Koli women fighters played an important role in trying to save the life of the ‘Rani of Jhansi’. Among them was a very close colleague of the queen named Jhalkari. The Koli Samaj, thus, has given India and the world, great sons and daughters whose teachings are of universal import and of relevance to modern day living. Archaeological findings, when pieced together, show Mandhata as belonging to Ishvaku – Sun Dynasty and his descendants were known as ‘Sun Dynasty Koli Kings’. They were known to be brave, illustrious and just rulers. Buddhist texts have numerous references proving this beyond doubt. The descendants of Mandhata played a vital role and our ancient Vedas, epics and other relics mention their important contributions in the art of war and state administration. They are referred to in our ancient Sanskrit books as Kulya, Kuliye, Koli Serp, Kolik, Kaul etc. It was during the year 566 BC, when the Hindu religion became cruel and thoroughly degraded that Prince Gautam, later known to the world as Buddha (the enlightened one) was born in a little Kingdom by the river Rohini in a Himalayan valley in northwest India. Lord Buddha's mother, Maha Maya was a Koli princess. 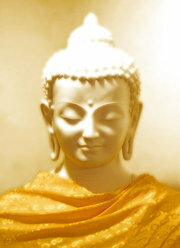 The teachings of Lord Buddha were seen as a threat to vested interests of the upper-caste Hindus. Soon, the teachings of Buddha was completely banished from India. It appears that Koli Kingdoms with their relationship and affinity to Buddha suffered most from this persecution. Although the vast majority never embraced Buddhist teachings, they been cold shouldered by others and suffered neglect from the rulers. The upheaval must have proved too much for the Koli kingdoms. It appears that because of prolonged deprivations in the highly complex Hindu society, a once powerful tribe, hardworking, skilled, loyal, self-sufficient but easily provoked into war, lost its central position. A tribe that founded and built Bombay - named after the name of their Goddess, Mumba Devi, finds it hard even to this day to get into positions of political or academic influence. For centuries now, other tribes have looked down upon them and the resulting psychological effects were devastating for this entire community of Kshtrias. In present day India, Kolis are found from Kashmir to Kanya Kumari and are known by slightly different names according to the languages of the regions. 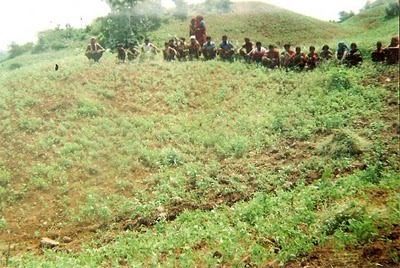 The following are some of the major groups: Koli Kshtria, Koli Raja, Koli Rajput, Koli Suryavanshi, Nagarkoli, Gondakoli, Koli Mahadev, Koli Patel, Koli Thakor, Bavraya, Tharkarda, Pathanvadia, Mein Koli, Koyeri, Mandhata Patel etc. 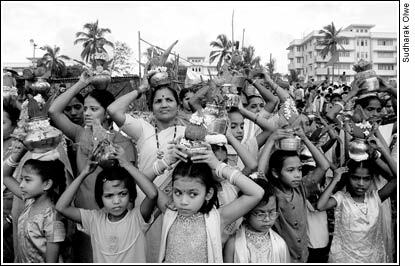 As an original tribe of India preferring to live in open agricultural landscape and coastal regions as clansman, the present day Kolis are a product of much intermarriage. It has been estimated that there are over 1040 subgroups all lumped together as Koli in the population census. Vast majority have very little in common except that they are Hindus, that the upper class Hindus have always accepted that a Koli’s touch does not defile and Koli chiefs of pure blood are difficult to distinguished from the Kshtria Rajputs among whom there are regular intermarriage. Writers Anthovan and Dr. Wilson believe that the original settlers in Gujarat were Kolis and Adivasi Bhils. Ravbahadur Hathibhai Desai confirms this to be so at the time of ruler Vanraj some 600 years ago. The very diverse ethnic groups represented now in the Gujarati population is said to be Vedic or Dravidian. These include the Nagar Brahman, Bhatia, Bhadela, Koli, Rabari, Mina, Bhangi, Dubla, Naikda, and Macchi-Kharwa tribes. Parsis, originally from Persia, represent a much later influx. The rest of the population is the Adivasi Bhil tribe. When on 9th January 1920, Bapu returned to India from South Africa a number of people who were with him there returned also. Bapu had personal knowledge of the character of our people. So when the time came to decide the destination of the 1930 Salt March it was no accident that he chose Dandi, from among a number of choices and pressures from other interested parties. He was convinced of the courage and the depth of understanding of our people in completing a project successfully. And so it proved. We cannot wholly blame the upper castes for our present conditions. History records with unceasing regularity the downfall of once powerful people who may have completely disappeared or reduced to pittance. In a world where survival of the fittest is the norm a people has to make great effort and sacrifice to unite under a wise leadership and start writing history again. We have thousands of graduates and professionals, highly qualified doctors, dentists, lawyers, and skilled technocrats, living in their adopted countries and in India. They all seem to be using their skills to make money and in a race to acquire material goods and other minor pleasures. Material comforts are necessary but our priority must also be to guard our religion, culture and tradition. It's a very informative post. Thanks. The fact that Gautama Buddha was married with a lady belonging to artisan class (weaver) is well known to the research scholars. Regarding persecution and destruction of the Budhist India, Dr. Naval Viyogi, D.Litt. (USA) writes in his book, "The Native Culture of India", Jan.2001 Edition (Published by Blumoon Books,Karol Bagh, New Delhi) that "a glorious and best system, developed so far by humankind,which made the Buddhist India (500 BC to 500 AD) economically most prosperous & politically powerful and invincible country of the age, was victimised by their hereditary antagonistic, the Vedic Aryans". Similarly, Prof. Gurnam Singh, Ambedkar Bhawan, Muktsar, Punjab in his book entitled, "Bharati Lok Neech Kiwen Bane" 3rd Edition 1989 (in Punjabi) cogently proves the same by quoting many references from the 'sacred' Hindu (Aryan) books. Thanks for sharing such an informative, well researched, in-depth article which traces the origins of the koli community from the obscure confines of our ancient history. Please convey my best wishes to the author on my behalf. I was wondering whether the kol tribes settled in Eastern India are somehow connected as I've heard that they too trace their origins in the indus civilization. Thanks once again. "Mental liberation is necessary and one can liberate one's mind by different means. One of them is to re-evaluate, in the present context, the various myths connected with the religion that one acquires by birth or from the childhood. Otherwise, one may fail to demolish the walls of ignorance." Thanks Dorothy for the additional information regarding Kol tribes of North-eastern states of India. Fantastic article. Thanks. I have taken it to Megh Links. Dorothy too deserves thanks for giving yet another dimension to the article. out there that I'm totally confused .. Any suggestions? Kudos! make sure to do not disregard this website and give it a look on a constant basis.